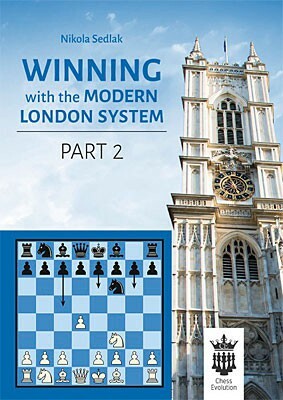 Produktinformationen "Sedlak, The Modern London System Vol. 2"
complete games, putting the accent on typical plans and pawns structures arising in these kinds of positions. Only a small part of the book contains some forcing positions that need more in the way of ‘memorising’. This repertoire which I am recommending is a good weapon against very sharp and well-prepared opponents. Weiterführende Links zu "Sedlak, The Modern London System Vol. 2"
Kundenbewertungen für "Sedlak, The Modern London System Vol. 2"